Sometimes when a bride walks in our door, we feel an instant connection. We know that she gets what a&bé is all about, and she has a strong sense of her personal style. 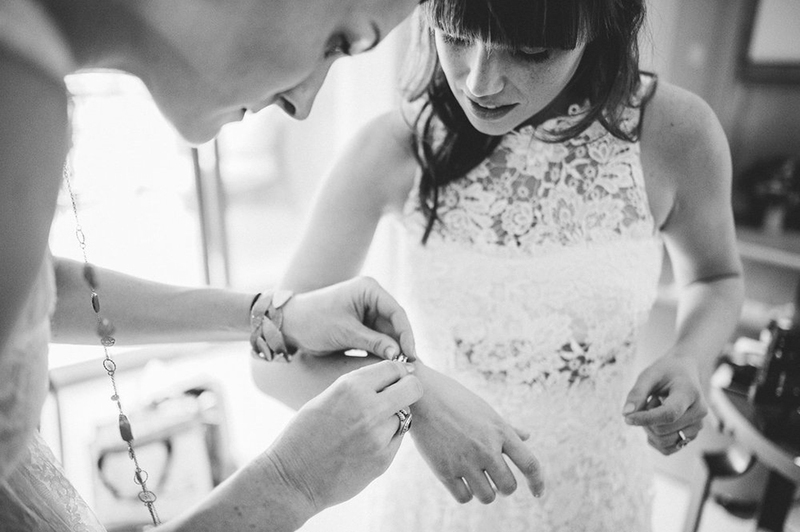 When Allie came to shop with us, we had so much fun helping this unique, edgy bride find the perfect dress to reflect her vision and personality. The dresses we tried on were beautiful, but not quite fitting the bill. And then we found the lace. It was a gorgeous, Nicole Miller guipure lace, fitted, strapless gown in the back of our sample room. But Allie saw so much more. With the help of one of our favorite local Colorado designers, Maggie Evans, we transformed this ordinary gown into something extraordinary. Not many brides have the guts to go after something they want (especially when they can't try on or even see the finished product), but Allie was so confident in her vision and trusted us as well as Maggie to help bring that vision to life. 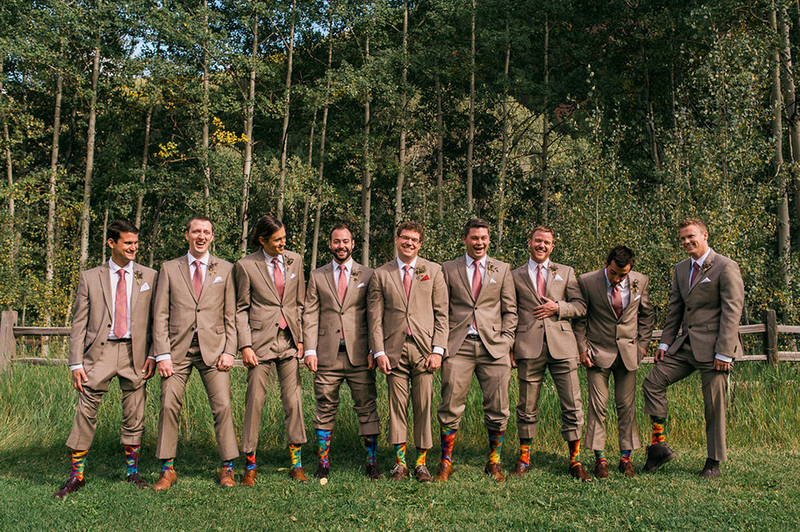 The result: a one-of-a-kind, magical creation perfect for the Colorado bride. 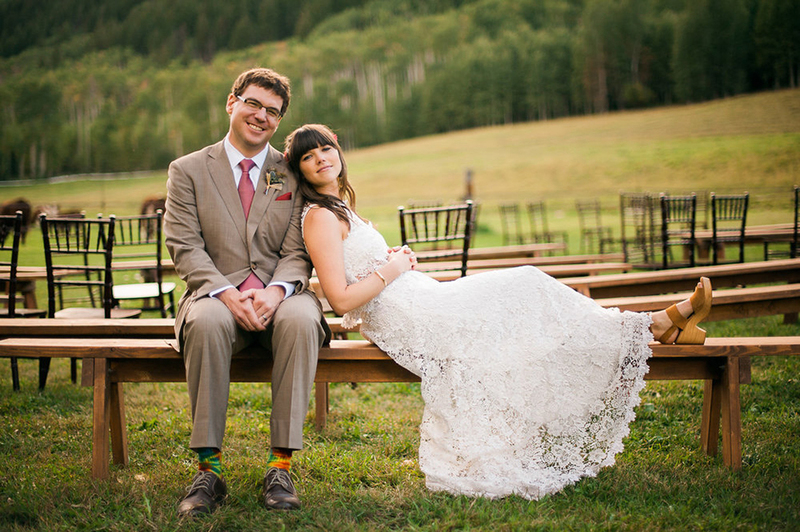 This lovely Aspen ranch wedding was described perfectly by our a&bé bride Allie, as "A magical, bohemian, music inspired, hootenanny". 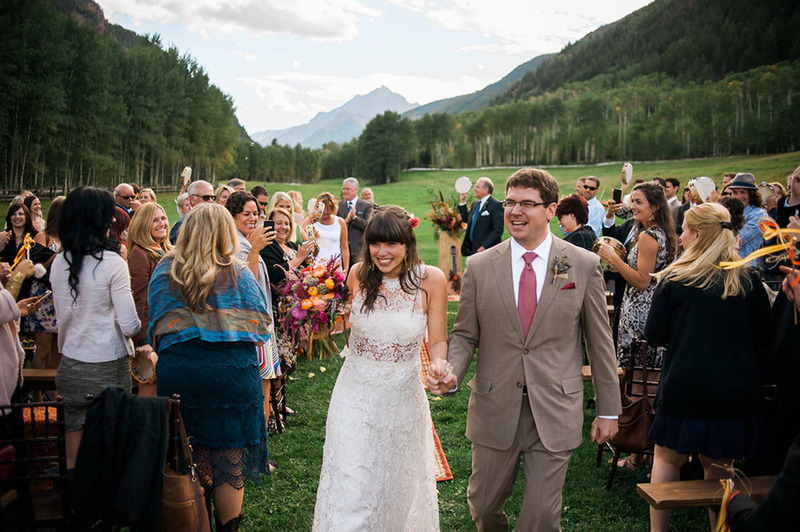 The ceremony was nestled in a gorgeous valley with the striking Maroon Bells as their backdrop. Allie looked beautiful in her custom-altered Nicole Miller gown twirling freely with flowers in her hair. With the help of stylist Kara Delay, the ranch was turned into a boho dream with vintage chairs and benches accented with various aztec blankets, and vintage floral throws. The bridesmaids all wore dresses of their choosing made of neutral lace details. Following the ceremony, the pair walked down the aisle as the guests gathered their handmade tambourines provided by RAGE Unlimited, and proceeded to march back to the ranch, singing, dancing, playing music, and hula-hooping the whole way there. A vintage VW bus led the way back to the reception where everyone enjoyed local brews in the cozy, rustic log cabin. 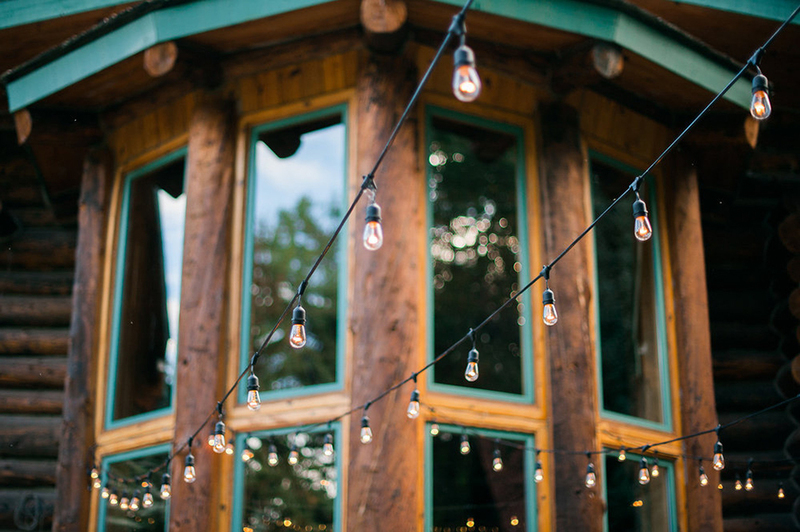 The reception was 'wildly fun' as described by the bride, featuring local colorado brews, more musical treats from the band, all in the cozy T Lazy 7 Ranch. They couldn't have asked for a more perfect day of sunshine to compliment the gorgeous venue, and aid in the joyous celebration. The Image is Found captured the entire day perfectly, I felt as though I attended this wedding in all of it's wonderful detail.